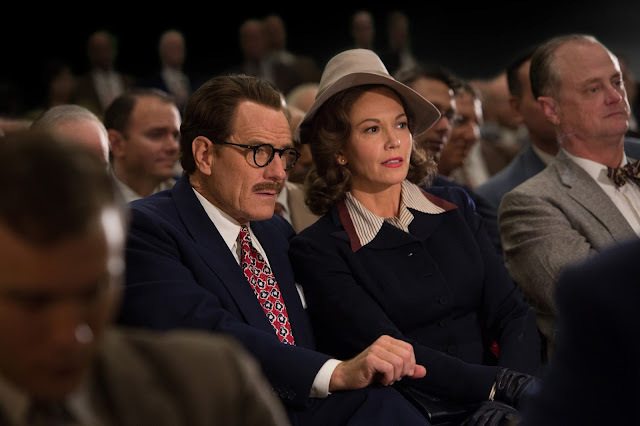 With it making its world premiere next month at the Toronto International Film Festival, new images have come our way for Jay Roach’s (Meet The Parents, The Campaign) Trumbo, with Bryan Cranston taking the titular role of 1940’s screen writer Dalton Trumbo, who was blacklisted and sentenced to 11 months in prison after refusing to testify in front of the House Un-American Activities Committee. 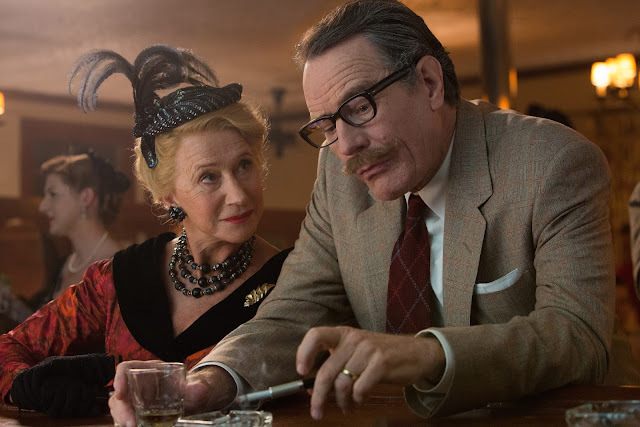 These new images give us a closer look at Cranston as Trumbo, aswell as Diane Lane as his wife wife, Cleo, and Helen Mirren as gossip columnist Hettie Hopper. Not pictured, but I hope we get to see it soon, is JAG’s (everybody remembers the t.v. show JAG, right?) David James Elliot as John Wayne. That should be a sight to behold. Trumbo opens for limited time in the U.S. on November 16th, before coming to this side of the pond on January 22nd 2016.